One of our newest team members, Natasha works with Crystal to drive all aspects of the firm’s day-to-day accounting activities, manage our accounting processes, oversee internal controls, and generate financial reporting. Additionally, she partners with the Client Service and Operations teams to manage the firm’s portfolio reporting process, ensuring our quality and accuracy standards are met. Prior to joining Trellis Advisors, Natasha spent three years at Moss Adams as a Senior Accountant. Based out of their Seattle office, she supervised a team of field auditors to review financials for companies in such industries as technology, manufacturing and distribution, financial services, and the nonprofit sector. Natasha began her career as an Accounting Intern at Tommy Bahama, also in Seattle, where she audited monthly retail reports and prepared analysis among many other duties. 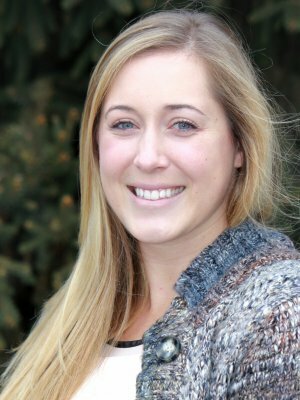 Natasha holds a Bachelor of Science in Accounting from Central Washington University and was a student in Central’s prestigious William O. Douglas Honors College. While at Central, Natasha held the office of President for Beta Alpha Psi, served on the CWU Student-Athlete Advisory committee, and was a member of Central’s softball team. In her spare time, Natasha enjoys a variety of activities, including spending time with friends and family, skiing, fishing, wine tasting, and reading cat memes. Natasha works in our Ellensburg office.